1. If you are using frozen peas, wash them under running water and pressure cook the peas with enough water and salt for 2 whistles and switch off. Realease the pressure immediately to avoid over cooking of the peas and to retain the colour of peas. Drain the water and keep ready. In a kadai, heat oil and add onions. Saute till golden brown. Add the cooked peas. 2. Mix well and saute in high heat for a minute. Reduce the heat and add the masala's. Mix well. Let it cook for 3-5 minutes in medium heat. Keep tossing to prevent it from sticking to the pan. If you feel its too dry, sprinkle water now and then while tossing. Remove from heat and serve hot!!! Instead of shallots, you can also use big onions. Don't overcook the peas, as it turns mushy. 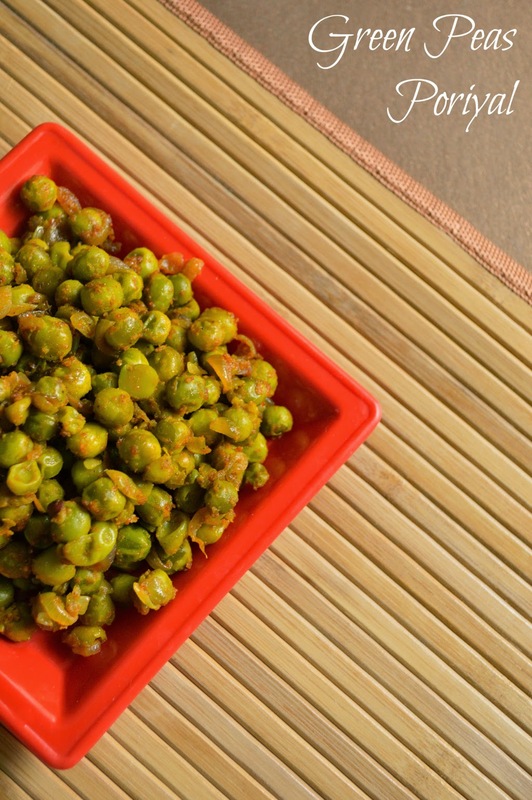 You can also use non veg masala's which tastes good for peas. 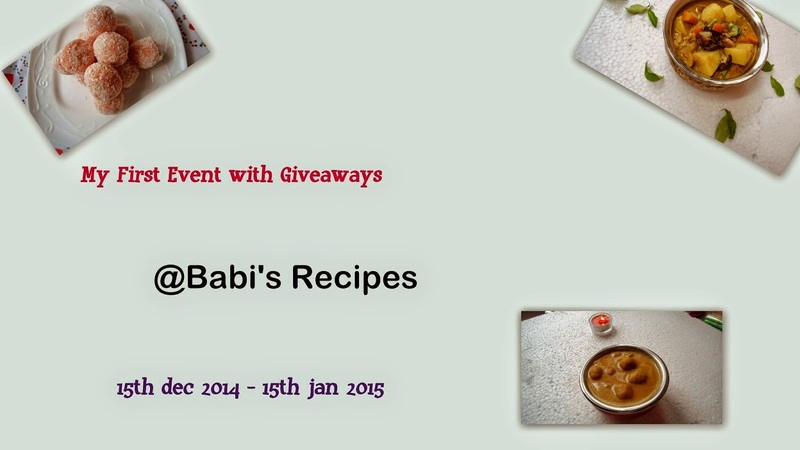 Linking this to Babi's Event! 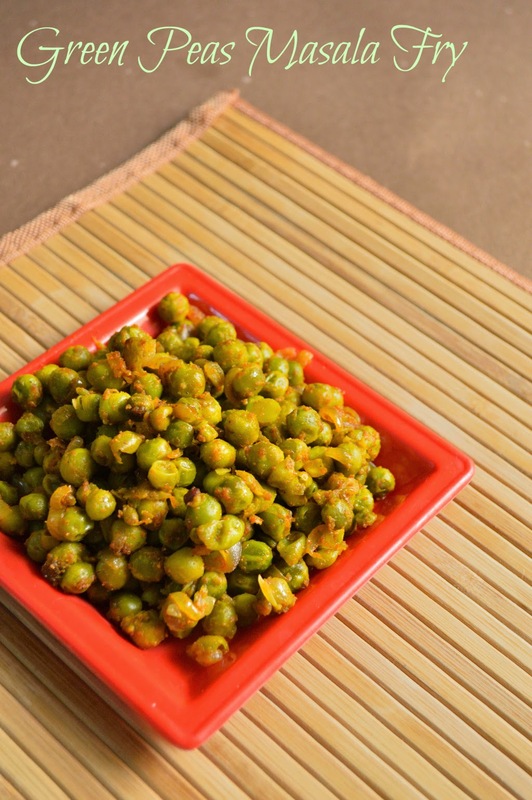 I love this simple yet delicious peas fry.. looks yum!